Enjoy 50 acres of glorious gardening heaven, with shelter from the elements if required. 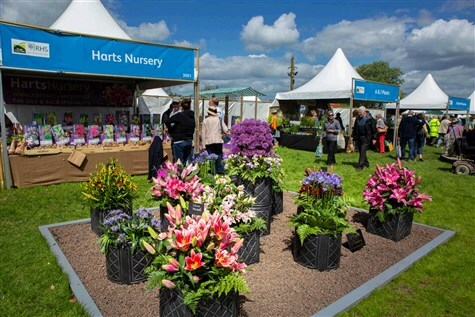 With a reputation for innovation, inspiration and high quality exhibits it has become a firm favourite with gardeners of all ages and widely regarded as one of the finest friendliest gardening events of the year. See inspirational show gardens and unique festival gardens, the Malvern Floral Marquee, which is a sea of scents and colours, enjoy exclusive shopping and delicious food and drink. RHS experts are on hand to give talks and demonstrations and enjoy first time gardener workshops.